On this website you can find useful information about Kuwait International Airport: Arrivals, Departures, Terminal information, Parking, Car rental, Transport, Accommodation, Amenities and Services, among other information. Plan your travel to KWI airport with the information provided in this site. Kuwait International Airport is the main international Gateway of Kuwait. Kuwait Airport serves as a hub for long distance flights between Europe, Asia and Middle East. 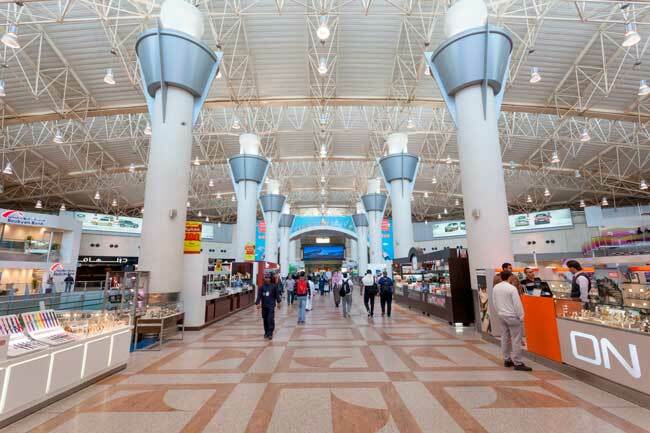 Kuwait Airport has two airport terminals: Terminal 1 and Sheikh Saad Terminal. A second terminal is about to be completed by 2020. 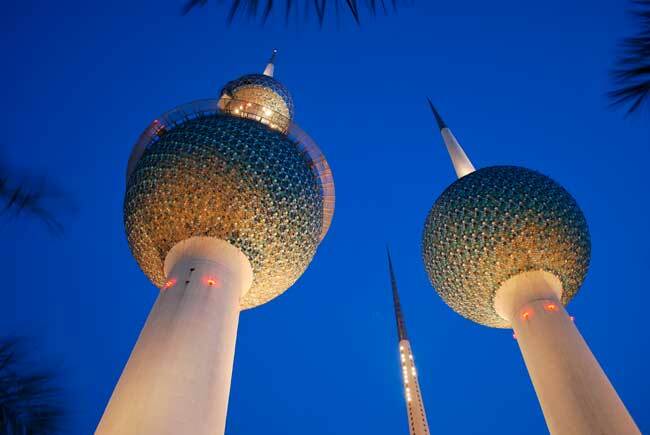 Kuwait Towers are one of the main attractions and most recognizable spots of Kuwait City. 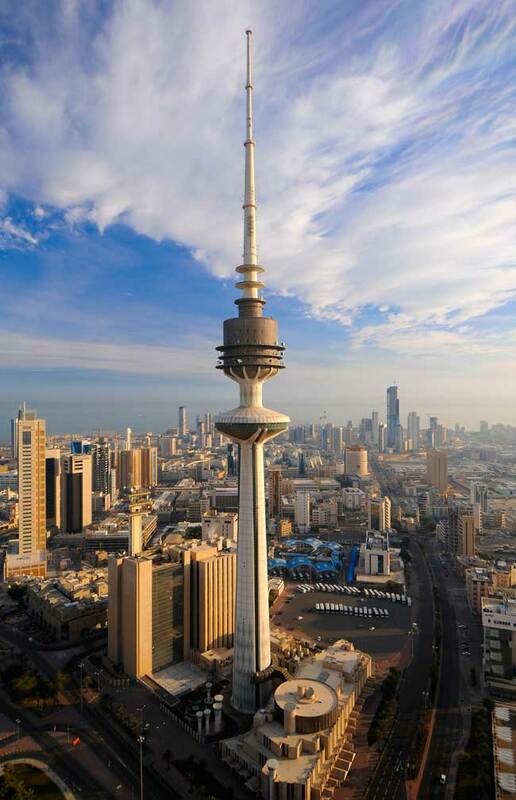 Kuwait City is a modern and developed city within the Arabia Peninsula. Kuwait International Airport (IATA: KWI, ICAO: OKBK) is the main international gate of Kuwait, located in Farwaniya, at 16 kilometers south of Kuwait City. Alternatively, the airport is known as Kuwait City Airport. It serves a hub for the following carriers: Kuwait Airways, Jazeera Airways and Wataniya Airways. Kuwait Airport is a major hub for long distance flights between Europe, Asia and Middle East. 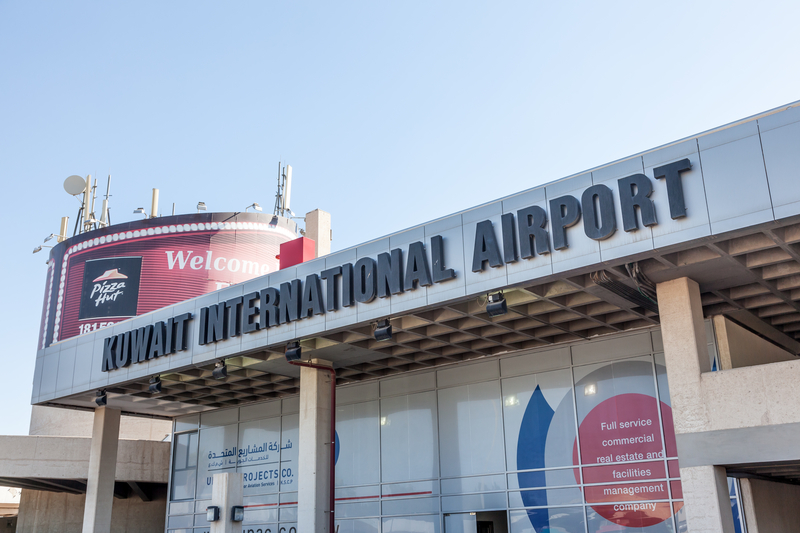 Kuwait Airport handled in 2015 a total of 11,100,000 passengers. Kuwait Airport is a major hub for long distance flights between Europe, Asia and Middle East. 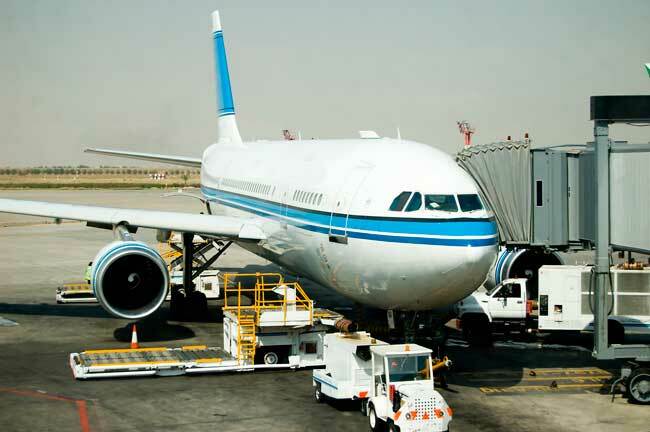 As for its location, serves as a hub for Kuwait Airways, Jazeera Airways and Wataniya Airways – also to other carriers since it is a major passenger gateway. In that sense, Kuwait Airport is purely an international airport. Sheikh Saad Terminal: The Sheikh Saad Terminal is a small passenger terminal which nowadays hosts some flights previously served in Terminal 1 due to its congestion. Many of the services offered in this terminal comprises regular scheduled flights. Present & future: A third passenger terminal, Terminal 2, is under construction. It is expected to be finished by 2020. Bus: Bus services at Kuwait Airport can be really convenient for you, especially the CityBus Express lines. Check out bus section for further information. Taxi: Taxi is just the best way to get to Kuwait City – Get there from Kuwait Airport within just 20 minutes! Car rental: Want to discover Kuwait and its wonders on your own? Immediately outside the Arrivals Hall many international and local car rental partners are ready to attend your needs. Just remind you can also rent a car through our search engine. Kuwait City is the main and largest city in Kuwait, located in the Middle East region. Kuwait shares borders with Iraq and Saudi Arabia. The country features for having a dry desert climate, with scorching hot summers and chilly winters (on summer temperatures easily surpasses 40ºC). Apart from Kuwait City, Salmiya, Jahra and Wafrah are worth to visit. Regarding main attractions, you shouldn’t miss Sheikh Zayed Grand Mosque, the Kuwait Towers, the Souq, the Tareq Rajab Museum and the Scientific Centre, which stands for being Middle East’s biggest aquarium.